Generous steel tray with an attractive pattern in relief. 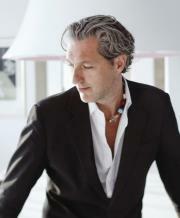 A design from the Dressed by Marcel Wanders collection for Alessi. In highly polished stainless steel. An eye-catching style! 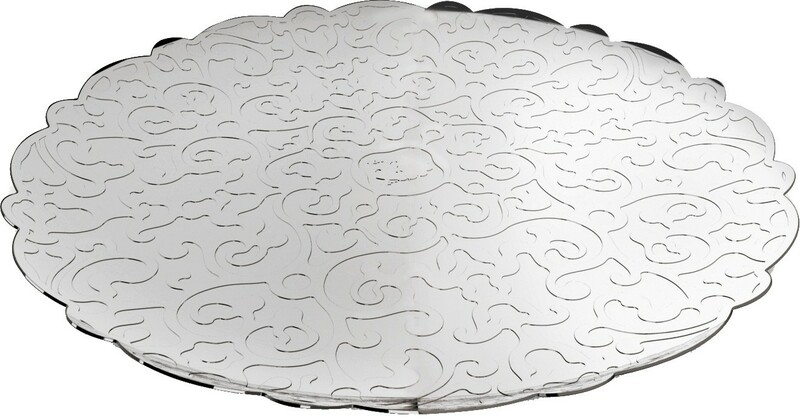 This generous round steel tray is Marcel Wanders' most recent addition to the 'Dressed' cutlery and tableware collection designed for Alessi. As Alberto Alessi says: a beautiful example of 'the Dutch Baroque Movement', referring to the decoration Wanders has utilized for these trays. This decoration has been applied continuously and in heavy relief, giving the trays an almost 3-dimensional appearance. 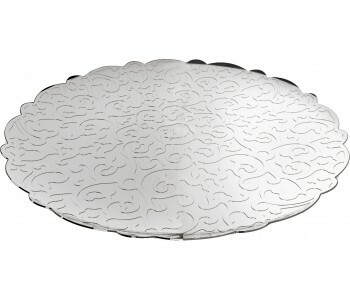 This Alessi tray has a 35cm diameter and is made of highly polished stainless steel.